It’s the end of the summer, so you and your family may be squeezing in your last vacation or “staycation” before school starts. I’m nine months pregnant with my son, and our three-year-old daughter has already been on her fair share of flights and road trips in her lifetime. 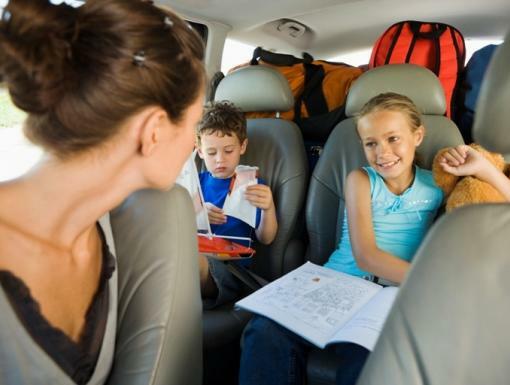 I’ve learned some basic guidelines we like to use for traveling with kids in my family. I hope you find these helpful, and possibly share some of your own. *CONFESSION: I’ve always been an over-packer, but never feel unprepared. When traveling with children you will feel and, possibly look, like a Sherpa. Between the stroller, car seat, bags and a Pack ‘n Play, if needed, there’s really no way around it. 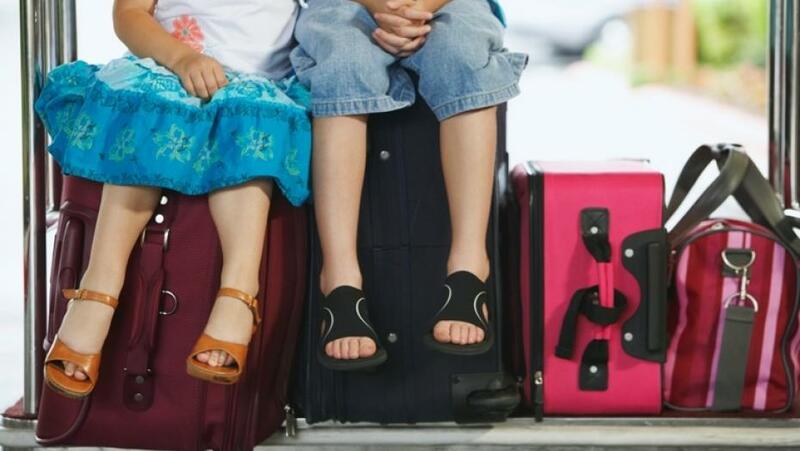 Whether you’re traveling by plane or car, here are a few recommendations and guidelines to think through for your kiddos. Prepare me: Get there early enough for necessary potty breaks, diaper changes and plan as best you can for any stops in your itinerary. It always takes longer than you expect. Feed me: Let’s be honest, children and grown-ups alike all get grumpy if we’re not well fed and nourished. While traveling, this is even more important. So to prevent your own Snickers hunger meltdowns, the scary airplane or gas station food, pack what travels well and will make it through security. Click here to read TSA’s latest about traveling with formula, medications and what the exceptions are. Medicate me: I know what you were thinking and yes, if you honestly need to be medicated before traveling, please do so appropriately. And while you do that, don’t forget to pack all the necessary medications, vitamins and daily supplements that you need to make life easier while away from home. Entertain me: Depending on the age of your child or fellow adult, think about the easy things that will keep everyone busy for 30 minutes at a time. Whether that’s small toys, books, a smart tablet, cell phones, games, etc. Make sure you’re fully stocked, charged up and ready for any delays in travel that may come up. You may even consider a wireless charger for those situations where you don’t have access to an electrical outlet. Work with me: For those of you who visibly cringe when you see parents with children board the plane, please keep in mind that we’re just as nervous as you are about the trip. But kids, like bears, can smell your fear, so even when we’re three rows behind you or in the seat right next to you, just be patient. We’re apologizing ahead of time for any inconveniences or unexpected outbursts that may happen. We have the same amount of vacation time you do, and can’t spend an extra week driving to our destination just so we can avoid sitting next to you on the plane. Most of the time, we’re trying our best. Parents, click here to review specific questions you may want to ask your airline before traveling. Clean & Comfort me: I’ve learned from experience and from other parents to bring an extra set of clothes for the kids and the adults, especially if traveling with your baby. Oftentimes, we’re ready with an additional onesie - but what’s mom going to change into when the explosive diaper happens on the plane? Baby wipes/wet wipes are a good thing to have for the family even beyond the diaper years. I also recommend wearing something easy to maneuver in and to bring along the small comforts of home (blanket/pillow/stuffed animal). Have a great time! 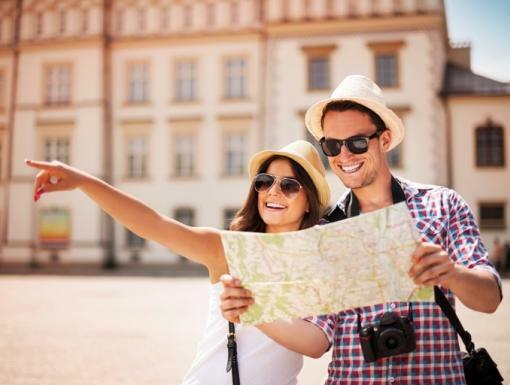 So after all the pre-trip preparations , you’ll have a great vacation, take amazing pictures, make unforgettable memories and head home to do it all over again.